Put yourself in this situation. You are walking around a corner at work, you pause and overhear a co-worker saying some…shall we say…unflattering comments about you. How do you respond? 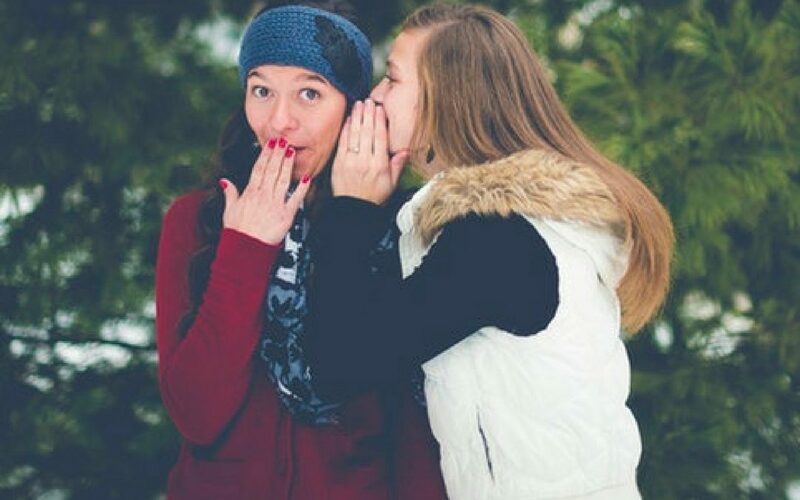 Maybe you are talking with one of your friends at church and they inform you that someone has been spreading some unflattering rumors that make you look bad. What do you say? Nearly every day we are around people we are given an opportunity to be offended. It comes with the territory. Sadly, the typical response for many believers is to do what any non-Christian would do. One option is the silent treatment route. The situation is never resolved. Clarification is never sought. Instead, the relationship awkwardly fizzles away. Another route is the confrontational approach where the gloves come off and ungodly carnality is put on full display. And then there is the passive-aggressive response. Like the silent treatment route, nothing is ever directly said to the person who committed the offense, but every non-verbal sign indicates a high level of bitterness and frustration. First off, the Biblical response to someone sinning against us is clearly outlined in Matthew 18:15-17. In other words, step one is to confront one on one. Step two is to confront with a friend. And step three calls us to confront with the church. This is the process for when a fellow brother or sister in the Lord sins against us. It should be noted that there are different categories of ways people sin against us. As one pastor I heard has pointed out, there are three different levels of offense that people experience. These are the lowest level of offenses. Someone says a negative word about us. A friend posts something that annoys us on social media. Our neighbor yells at our cat. These are the offenses you and I face every single day — that is if we each had cats…which I do not and will not…ever (my apologies if that was offensive). These offenses are “mile-markers” in our lives. They are incredibly painful in the moment and leave a scar that we will always remember. A level 2 offense might be a painful word that was spoken to you by someone you loved and respected. As a result, it forever changed your relationship with this person. It might be a hurtful breakup, a sharp word by an angry family member, or that bitting sarcastic jab about your character from a friend. Thankfully, these do not typically happen often but when they do you are never the same. These offenses do more than just leave a scar. They rock your world. These are moments of severe pain. They have a way of breaking up your life into segments. You view your life as pre this time and post that time. It might be suffering physical abuse as a child, having a sibling killed, or being thrown in prison for a crime you did not commit (like a story I just heard recently). These injustices are irreparable. The emotional damage suffered is great. The humiliation might be strong. Nothing said can ever repair the pain. These two verses changed me profoundly. They made me decisively more introspective. Before, I would always try to find out if someone was saying something negative. “What did they say?” “Who did they say it to?” “Will others think more negatively about me as a result?” But this passage put the ball back in my court. It made me do some self-reflection. It did not take away the sting of negative comments but it took away my desire to get revenge. It made me realize that not every hurtful comment called for confrontation. What level of offense is this? Is this person a believer or non-believer? Biblically, is this a situation where you should confront this person or should you let the matter slide? How can you take this offensive situation and use it to change the way you have perhaps offended others in the past? As is so often the case, we tend to fall into one of two unhealthy extremes when people offend us. Either A) We do nothing or B) We do too much. This is where we must be attentive to Scripture and obedient to the Holy Spirit. When we feel God’s prompting us to speak, we must speak. But when we sense his voice telling us to say nothing we must be silent.